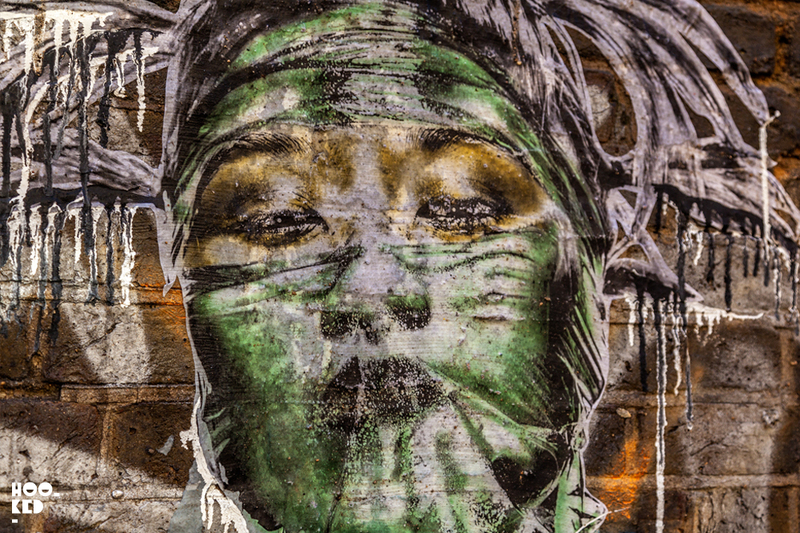 We were first introduced to the work of American Street artist Eddie Colla earlier this year while we were on a trip to Paris over the summer. We spotted a number of the artists large scale wheat pasted posters in the 2 and 3 androssiment of Paris while exploring the cities street art. Sharing one of the artists works on the Hookedblog Instagram account one of our French followers directed us to Colla's Instagram account. 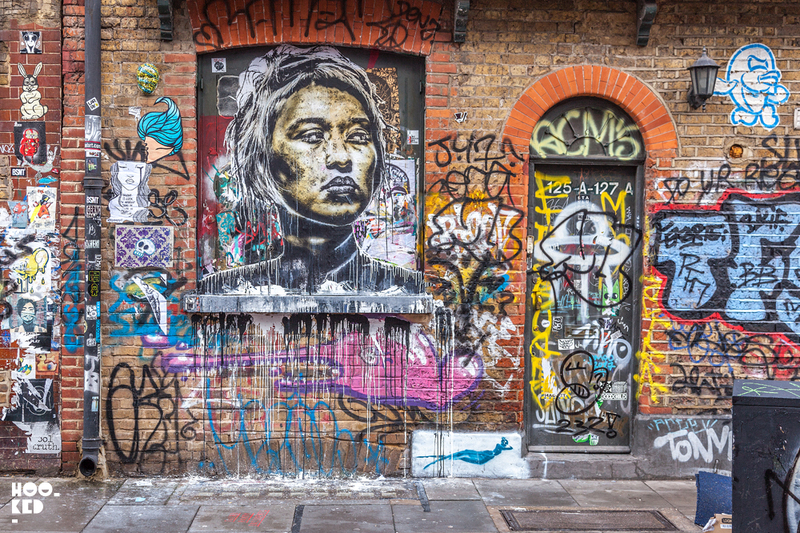 Returning to London from our Paris trip and we discovered that Colla had also stopped over in London and had taken to the streets here too installing a selection of large works along Brick Lane. 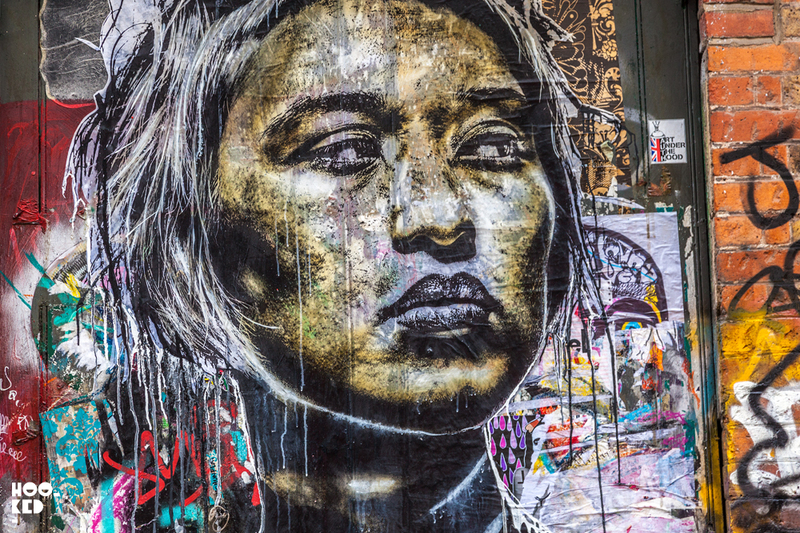 See More: American Street Artist Eddie Colla in London. Over the Christmas Holidays Colla made a return visit to London en-route to Paris from the images he has been sharing to his Instagram account. As with his summer visit, we once again see super-sized wheat pasted posters from the artist on walls of East London. 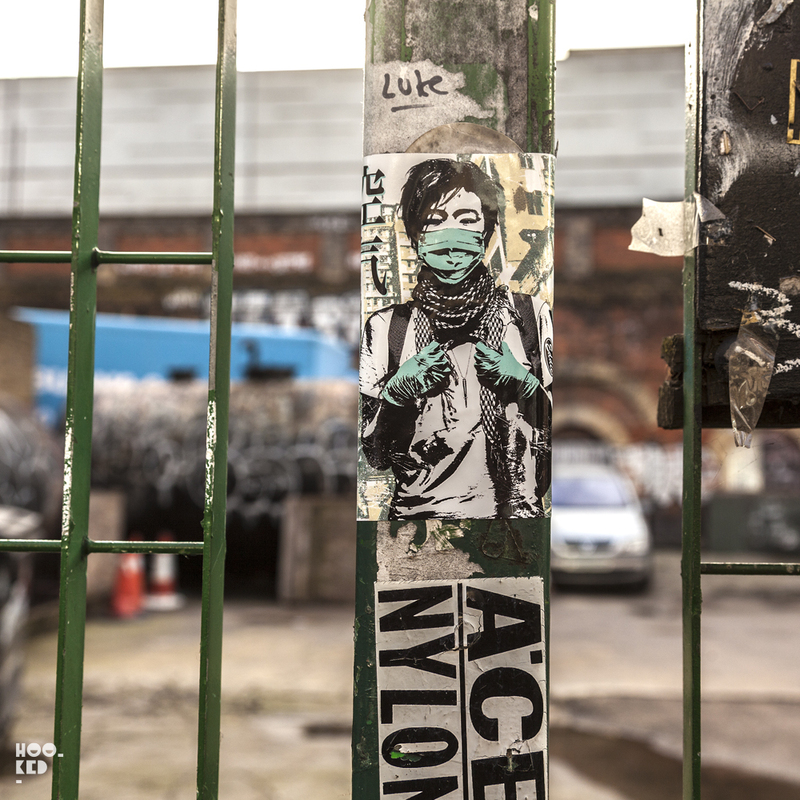 Along with a bunch of street level stickers we photographed two new works by the artist, joining some of those still running from his previous London visit. It's always refreshing to see these larger more impactful works going up on walls here in London, such as the life sized piece we photographed on Woodseer Street by Colla off Brick Lane. 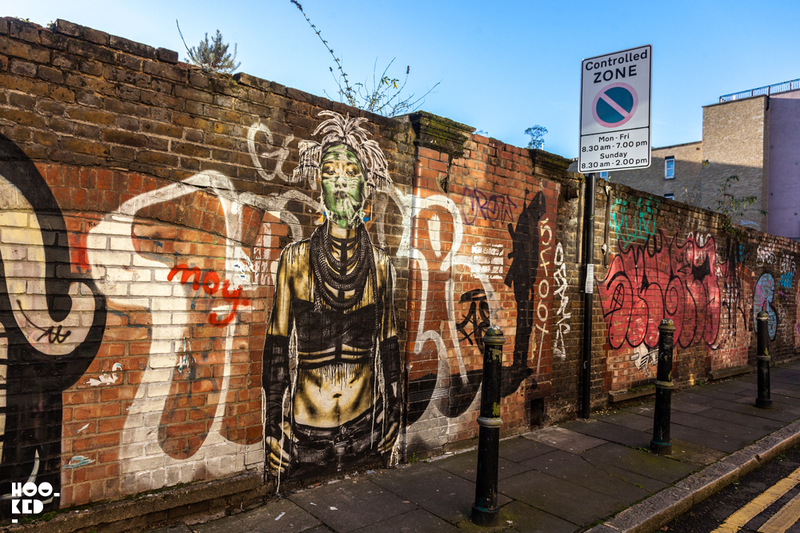 The other large work by the artist can be found on the corner of Sclater Street and Brick Lane. 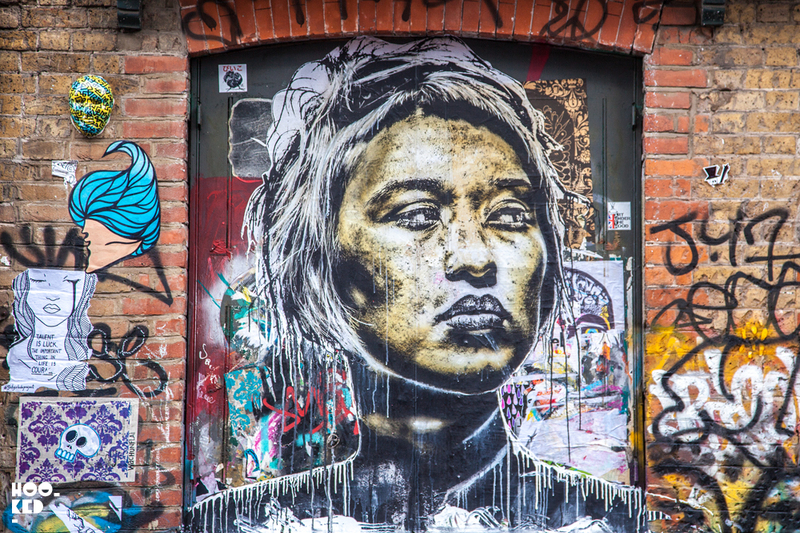 Large portrait by Eddie Colla on the corner of Sclater Street and Brick Lane, London. Close up of the second of Eddie Colla's London works located on Woodseer Street, London. One of the many stickers the artist stuck up around Shoreditch. 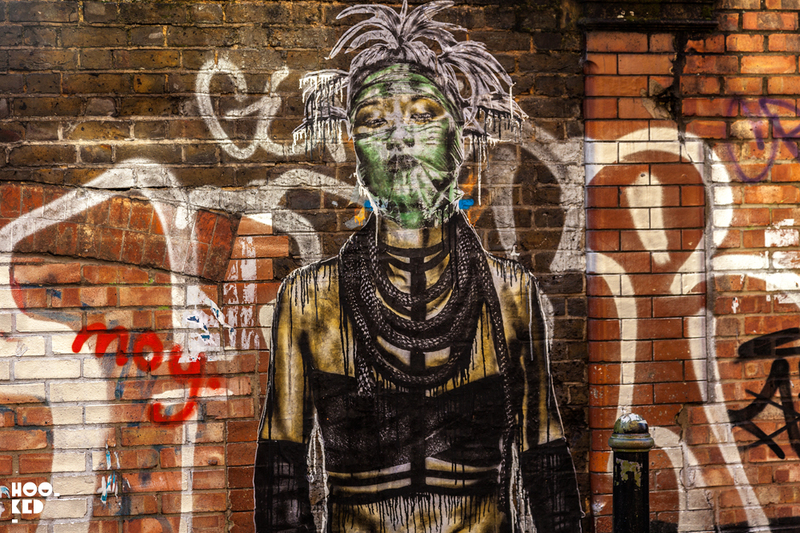 American Street Artist Eddie Colla in London.